In 1964, the Beatles was a big name in Sweden, sweeping hundreds of thousands of people off their feet with their new sound and their truly fantastic songs. There were two guys in a prep-school on the southside of Stockholm in Sweden, who immediately got caught by the Beatles' music. Both the boys were eight years of age and didn't know of the other. Two years later in 1966, they met for the first time, discovering their common burning interest for music. During music-classes they often shared the floor, performing before their classes. Sometimes in teasing competition, sometimes together. As a couple of years passed they got together a band, playing at occasional friday dances at their school. Soon, they started to yearn for new borders of music besides those of the standard R&B-numbers that were easy to play. Leif, the pianist was already having classic piano-lessons and Örjan the guitarist had early lessons on cello, both through their lessons getting to play classical but quite boring music. In the late sixties, the Beatles music became far more advanced and new bands like Procol Harum appeared, not to forget Brian Wilson's genius new work with the Beach Boys. 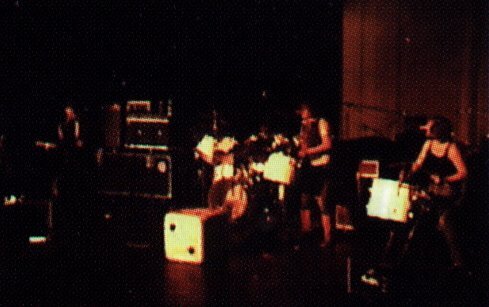 The merger between classical music and pop was tried out through bands like the dutch band Ekseption. And very soon there would be something called Symphonic rock, as presented by early bands like The Nice, King Crimson, Genesis and others. By this time in the very early seventies, Leif and Örjan had started writing material as well as orchestrating classical works (such as Stravinskij's "The rite of spring", Elgar's "Pomp and circumstance" and others) for a rockband. They performed with this material at a couple of schools, and discovered that they were really comfortable with this kind of music. Leif and Örjan spent a lot of time at one another's homes composing music, trying out new exciting harmonies, learning very intensely about music, through practising. In the meantime they got to hear records from Gentle Giant and ELP, which meant a major boost of inspiration to them both. 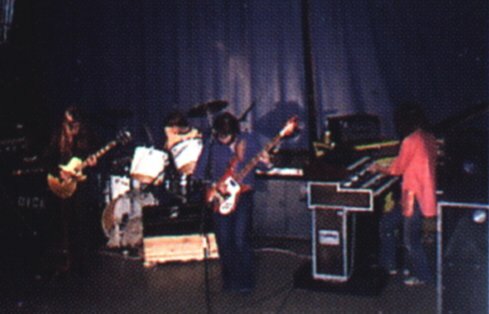 With a used Farfisa organ and a cheap electric guitar they played and wrote music, practically every weekend. In -73 they had more or less completed what was later released as "Follies" on Dice's first album and also "The four riders of the apocalypse" which was fully recorded in 1977 and released on CD in 1992. In -73 they met with Per Andersson, a musical student taking lessons in percussion. Per wrote music himself and most important, he wrote excellent lyrics. In 1974 he permanently joined the band. They were now rehearsing in a barn, in the south of Stockholm. Not knowing any bassplayers in their vicinity, the three boys put up ads in music stores. In 1975 Fredrik Vildö replied to one of those. Fredrik worked in one of the bigger music stores in Stockholm and had also been with a few local bands earlier. He now became the fourth member of Dice. Now they started touring with the band, mostly at clubs and highschools in the Stockholm area. They moved to new and bigger rehearsal facilities in the north of Stockholm. (Eventually they shared these premises with another band "Horizont", featuring among others Jonas Isacsson, the Roxette-guitarist.) They built a simple studio here in order to be able to record their new material continuously. For example "The four riders..." which they also did on national radio in 1977. During this year they were also signed by a music publishing company; Peer Southern. This eventually led to the recording of their first album by the end of this year. The album "Dice" was released in early -78. For the album and for a shorter tour coming up right after its release, Robert Holmin was engaged as their lead singer. Later in 1978 they made their first trip to Denmark, again as a four-member group with Örjan and Leif doing most of the lead singing. They were not satisfied with their record company and approached several others without any luck. In this process they wrote and recorded new material in early -79. There was "Springtime", "These days", "An urgent request", "The prophets" from Leif with lyrics by Per and from Örjan there was "Drowned in time", "Young man's delight" and "Merchandise". Also "Paradise" from Leif and "Life, where have you been all my life" from Örjan were written then. These 9 songs differed some from the previous material, being a little less complex. They did their second Danish tour with both new and old material. Back in Sweden they continued gigging mainly at the Stockholm scenes. At the same time, they wrote more and more conventional pop-material for the publishing company. Someone there occasionally came up with crazy ideas. One of these ideas can be heard on a single where the A-side is called "Yf" and the B-side is a dirty punkrock number called "Discipline". The band is called Kramp, but is in fact Dice. For the punk rock song they even changed instruments with one another to hide their identities; Fredrik sang, Leif played the guitar, Per played the bass and Örjan mistreated the drums. Another alias for the band was "The Picknicks". The boys themselves invented a set of names, during this period of fun and games; Örjan became Sigge Sursläpp("Siggy Sourfart"), Leif was Bror Duktig("Brother Clever"), Fredrik became Kånkel Berra("Lump Bert") and Per was simply Hej Bengt("Hello Ben"). By the end of -79 it was clear that the swedish record industry was either focused on Disco or New wave so by now the boys felt quite exhausted, trying hard to promote Dice-music. Again, an idea came up from the music publisher. Örjan had wrote a song called "Rock'n'roller skates", which was believed to have commercial potential. So when they released the record, they simply formed a fictious band with the three songwriters of Dice: Leif, Per and Örjan. This band was called Jet Set and soon had two female lead singers joining them. The music of the band was in the ABBA-tradition and their second single "Diamonds" was very well reviewed. During the planning of the first album, the well known record producer Kim Fowley("Nutrocker",ELP amongst others) was flewn to Sweden from Los Angeles to write and produce with them. They worked day and night for a hectic week, only to find that record company policy had changed suddenly. Jet Set recorded five songs in a studio and a further six songs at Örjan's home demo studio. Besides the two songs for the single, none of it was ever released on record. At this time Leif became quite busy as a touring and recording keyboardist. Per also was engaged as a drummer with other acts. Fredrik had became very good with PA-systems and was used a lot as a live engineer. Örjan finally, had gotten into writing music for films and commercials.